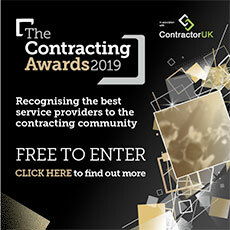 Against a backdrop of economic negativity, the survey found a very high level of enthusiasm within the contractor community and a number of very positive responses, despite the current double-dip recession and the recent round of contractor pay rate cuts. When asked about the current state of the contracting market, almost two-thirds of the contractors felt positive about the state of the contracting market. The pollster said this finding clearly indicates a high level of overall positivity in the outlook of the contracting market, as a whole (not just IT). When looking at the contracts which responders were currently undertaking, the survey found that just 10% of those asked were not currently in a contract or were about to start one, clearly demonstrating that the majority of contractors are able to find, and keep, a contract on an ongoing basis. Commenting on all of the findings, SJD Accountancy's managing director Simon Dolan said: "We were delighted to find that so many of our clients took the time to complete the survey, and we have been pleased to be able to pass the findings back to them, to help them feel more a part of the contractor community in which they work. "The statistics we have gathered clearly show that the contracting industry is still doing well and that this way of life offers huge benefits for people who choose to step away from full time employment - preferring a more flexible and rewarding way of life instead." In addition, more than three-quarters of the contractors said they had made a conscious decision to choose contracting as a "way of life", and 88% stated that they would class themselves as a "committed contractor", underlining that, for most, there is an ongoing commitment to contracting both as a lifestyle and a long term career option. A full breakdown of the survey results is available from a dedicated page on SJD's website.